This thoroughbred auction house with a gentleman at the helm is at the forefront in the South African auction scene. This thoroughbred auction house with a gentleman at the helm is at the forefront in the South African auction scene. 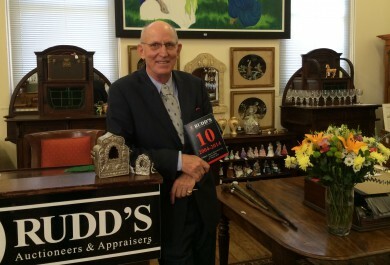 Established in 2004 in Bree Street Cape Town, Rudd’s Auctioneers celebrate their 10th anniversary this year. 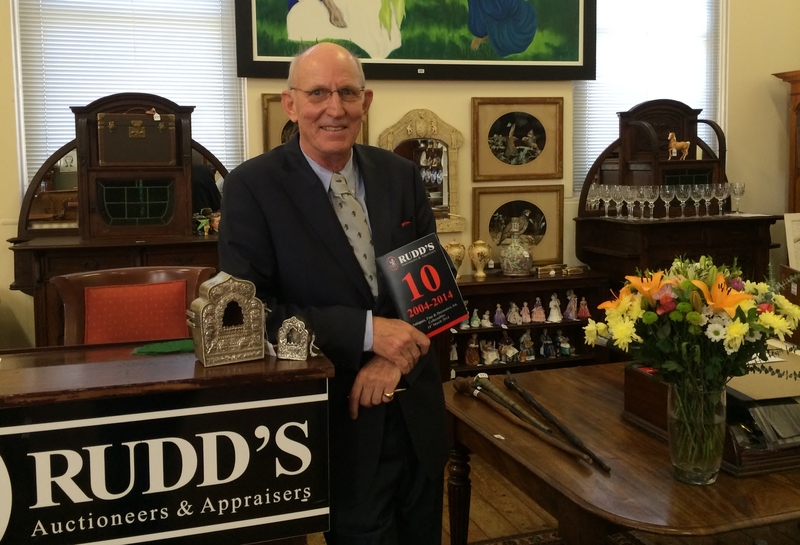 Headed by Charles Rudd a master auctioneer he is an ‘Appointed Appraiser for Estates, Insurance & Family Division in the District of the Cape’. Along with regular household sales held throughout the year the highlights are his catalogue sales. These cover antiques, fine art and collectables. Over the last ten years with 64 000 lots under the belt he is a firm favourite with both dealers, collectors and the public at large. His rostrum ‘bedside manner’ is what sets him apart and the value he adds with anecdotal stories about some of the pieces under his gavel, have one and all under his spell. For us dealers this information is often as important as the piece itself, as it adds a dimension that is becoming more and more crucial in our knowledge driven industry. This week on the 18th of March the latest catalogue sale was held and as usual there was an interesting selection of goods on offer. Ranging from silver, glass and porcelain through to clocks, furniture and art there were some great pieces up for grabs. One of the quirky items that caught my attention was the mid 19th century bronze letter opener with a purported provenance to Cecil John Rhodes. Lotted as having been given to the artisan who worked on his cottage in Muizenberg shortly before his death in 1902 this had been entered from a private collection of Rhodes memorabilia. Bought for stock by The Old Corkscrew were two very unusual 19th century English wine bottles with etched folk art designs. 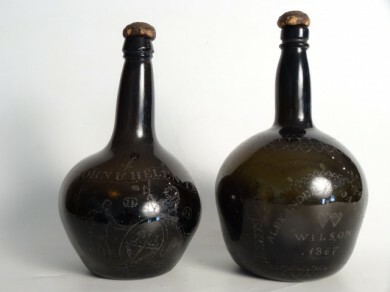 Early wine bottles such as these are described as shaft and globe form which were free blown, meaning each is of unique size. 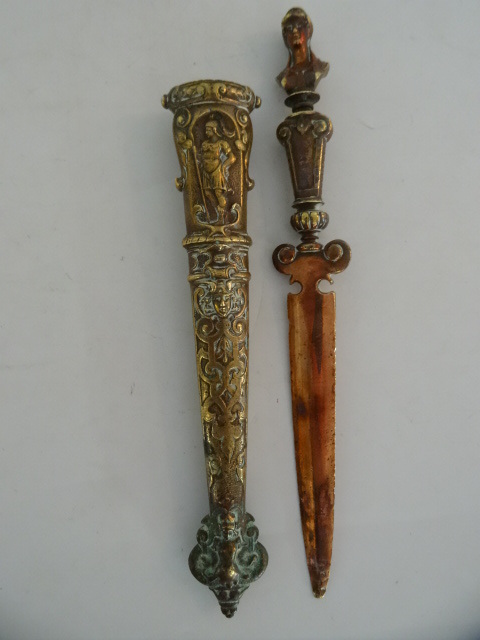 These were decorated with chip-engraving commemorating a wedding and one is dated 1836 while the other is dated 1867. These marriage wine bottles originate from Scotland and would have been precious family heirlooms. Charles, who is known to have a deep love for fine English furniture, always manages to source quality pieces and in this sale it was an English mahogany longcase clock that was the piece of the hour. Dating from the 1780’s it raced to twice the top estimate. If the world of fine art auctioneering can be compared to horseracing, then in the 1999 version of ‘The Thomas Crown Affair’ the line delivered by Rene Russo, “Gentleman jockey wins the Derby” surely sums up this Gentleman auctioneer.